Let’s say you’ve managed to reach retirement in great financial shape. Your home is paid for, you have plenty of money available to travel and enjoy your hobbies, and you’ve accumulated enough funds to provide security for the rest of your years. What’s more, your children are out on their own and doing reasonably well. It may seem as if you’ve addressed all of your major financial obligations. Chances are, however, that your children could still use your assistance, especially when it comes time to pay for their offspring’s college education. According to the College Board, the average cost of tuition and fees continues to outpace inflation by a considerable margin. It is tough even to guess how much college will cost by the time your grandchildren matriculate. But if you’d like to help with that major future expense, you don’t have to wait until the tuition bills come due. You can set up a Section 529 college savings plan now that will pay some, most, or all of a grandchild’s education costs. Every state offers these plans, and most are open to non-residents as well. There are actually two types of 529 plans—prepaid tuition plans and investment plans. With a prepaid tuition plan, you pay for future tuition in today’s dollars. Most of these cover costs at state schools; if current tuition is $10,000, for example, a contribution of that amount now will be guaranteed to pay 100% of a year’s tuition whenever your grandchild enters school. But most grandparents opt for investment plans that offer greater flexibility, though without a tuition guarantee. If the plan investments perform well, the returns could potentially match or beat annual tuition increases, but they could also lose value if the underlying investments depreciate as they did in the economic downturn of 2008-2009. Most plans offer multiple investment options that may include a target-date portfolio (based on the year a child will enter school) that gradually adjusts allocations from a stock-heavy mix during the early years to a more conservative strategy as freshman year approaches. Other state plans manage 529 money alongside state pension assets, while still others let you set your own asset allocations. Each state establishes the contribution limits for its own college savings plans, but the caps tend to be generous, reflecting the high future cost of college. Also, though many people believe otherwise, plan beneficiaries aren’t required to attend school in their home state. The full value of the account may be used at any accredited college and university in the country—and even at selected foreign institutions. If you set up a plan for a grandchild who doesn’t go to college, you can roll over the funds tax-free into an account for a different beneficiary, such as another grandchild. But distributions from the account must begin when the eventual beneficiary reaches age 30. In all 529 plans, earnings accumulate tax free for both federal and state purposes, and distributions are exempt from federal and state income tax as long as the funds are used for qualified educational expenses. Many states also offer state tax deductions or credits to residents who choose their plans. If plan funds are withdrawn for other uses, earnings on plan distributions will be taxed at ordinary income rates, and there will also be a 10% federal penalty unless the beneficiary has died, become disabled, or doesn’t need the money because he or she received a scholarship. States may assess additional penalties. Finally, though your contributions to a Section 529 plan are considered gifts, you currently may give up to $14,000 a year without gift tax consequences to one or several beneficiaries. And if you’re married, your spouse can kick in another gift-tax-exempt $14,000 per grandchild. Moreover, special rules for 529 plans let you make five years of contributions in a single year. That’s a total of $70,000 per spouse for each beneficiary. 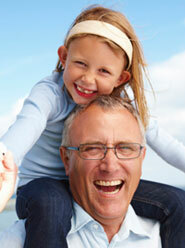 Want to establish 529s this year for three grandchildren? 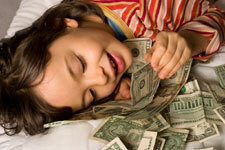 Together with your spouse you could each give $14,000 per child, or a total of $420,000, without owing gift tax. The bottom line is that helping with your grandchildren’s college costs not only reduces the burden on your children; it also reduces the size of your taxable estate. That makes this option worth considering as part of your overall estate plan. We urge you to discuss your goals with us and also with your children so that funding college is a coordinated effort of all parties.